Synopsis: WILLHow many times do I have to say it? Yes, I see the picture. It's a body, obviously. It's a dead body.ASHELEYYou have to understand, I love my brother. I'm scared of him too, but . . . regardless of what he has or hasn't done, I feel for him, you know.WILLI don't care what happens to me, really, I don't. But Asheley . . . she had nothing to do with any of this.ASHELEYIt's not like it sounds. He had a good heart. He trusted me. And I always did the best I could to help him.WILLIt's not her fault. None of it. Okay then. The guy in the photo. I killed him . . . but I had to. I had no choice. Why? That's complicated. That'll take a while. Will and Asheley had a broken childhood. Aged six and four, their abusive father left them for Mexico. When he was around, he bullied their mother, an alcoholic who spent more time drunk than sober. She’s gone now, sent away to a rehab centre. They’re on their own, with only their damaged selves for company. Things will crash. Things will burn. But most of all, people will die. Brother/Sister is an intense and very disturbing novel of two siblings whose lives have been wrecked and ruined by their parents’ ailments. Their childhood, if you can call it that, has left Will and Asheley with a frighteningly skewered and distorted sense of reality. They strive for a better life, a normal life- but left to face their problems on their own, things start to get messy and their lives spin out of control. Sean Olin’s second novel is told in the alternating perspectives of Will and Asheley. Through the two narratives, a greater sense of what happened can be pieced together from their biased perspectives. Uniquely, Brother/Sister is told as if the two siblings were confessing their stories at a Police station- with brief, intermittent lapses of direct dialogue with a police officer/detective, whose dialogue is not included- as if their stories were playing back on tape and the detective in charge were out of range of the microphone at the time of recording. Using this intriguing way to tell the story really emphasises the loneliness and confusion of the two characters and really benefits the telling of the story, giving the novel a unique feel. Sean Olin chooses to create an antagonist of Will, who is vicious and manipulative and yet draws in the reader’s sympathy. Will is an incredibly confused and distraught young man, for very few reasons of his own, and yet I could relate to him perfectly. Brother/Sister is a tragedy, emphasising the innocence of Will and Asheley, and yet condemning them for what they have done. Their story is tragic, their life a husk of what is should be. Olin’s characters are well realised, their oft-dark motivations perfectly plausible and understandable, often making you wonder whether you’d be like them if you were in their situation. Brother/Sister is by no means an easy or enjoyable read – the gruelling subject matter ensures that – but it is well worth reading. Excellently crafted by Olin, the novel plays on the tragedy of manipulation and life. Brother/Sister will ask you to make the judgement the police are faced with: Who here is guilty? Will? Asheley? Their parents? The abrupt but incredibly effective ending allows this: the reader is the judge of their innocence. This detailed and compelling read will have your heart racing and adrenaline pumping. 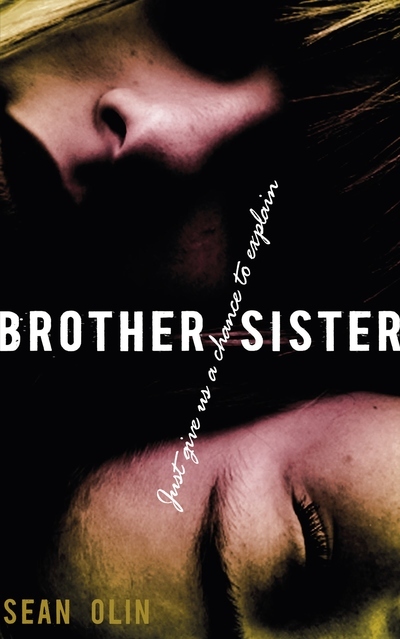 Brother/Sister is a disturbing novel that should not be forgotten: a read that will leave you thinking long after the ever-important last sentence comes to a closure. In a very sadistic way, Brother/Sister is a fantastic novel. One last note: What a killer of a show Brother/Sister would make if it were adapted for screen! What did you think about Brother/Sister?